Taghizade Firozjaee, T., Mehrdadi, N., Baghdadi, M., Nabi Bidhendi, G. (2018). Application of Nanotechnology in Pesticides Removal from Aqueous Solutions - A review. 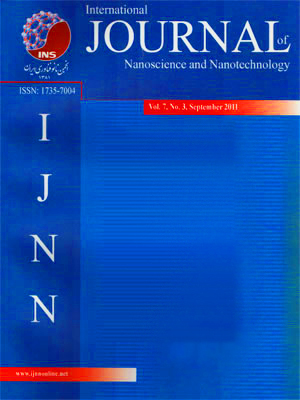 International Journal of Nanoscience and Nanotechnology, 14(1), 43-56. T. Taghizade Firozjaee; N. Mehrdadi; M. Baghdadi; G. R. Nabi Bidhendi. "Application of Nanotechnology in Pesticides Removal from Aqueous Solutions - A review". International Journal of Nanoscience and Nanotechnology, 14, 1, 2018, 43-56. Taghizade Firozjaee, T., Mehrdadi, N., Baghdadi, M., Nabi Bidhendi, G. (2018). 'Application of Nanotechnology in Pesticides Removal from Aqueous Solutions - A review', International Journal of Nanoscience and Nanotechnology, 14(1), pp. 43-56. Taghizade Firozjaee, T., Mehrdadi, N., Baghdadi, M., Nabi Bidhendi, G. Application of Nanotechnology in Pesticides Removal from Aqueous Solutions - A review. International Journal of Nanoscience and Nanotechnology, 2018; 14(1): 43-56. Department of Environmental Engineering, Graduate Faculty of Environment, University of Tehran, Tehran, Iran. In recent years, water pollution and pesticide residues in the food chain have become a serious environmental and health hazard problem. Therefore, an efficient technology is essential for complete mineralization of pesticides to non-toxic forms. Nanotechnology offers many potential benefits to improve existing environmental technologies using new materials with effective performance, resulting in less consumption of energy and materials. The aim of this review is to compile and study current publications regarding pesticides removal by nanotechnology. This study discusses the applications, advantages and limitations various nanotechnology processes for removal of pesticides.